Happy Friday Wyrdos! We have yet another Friday preview for you. 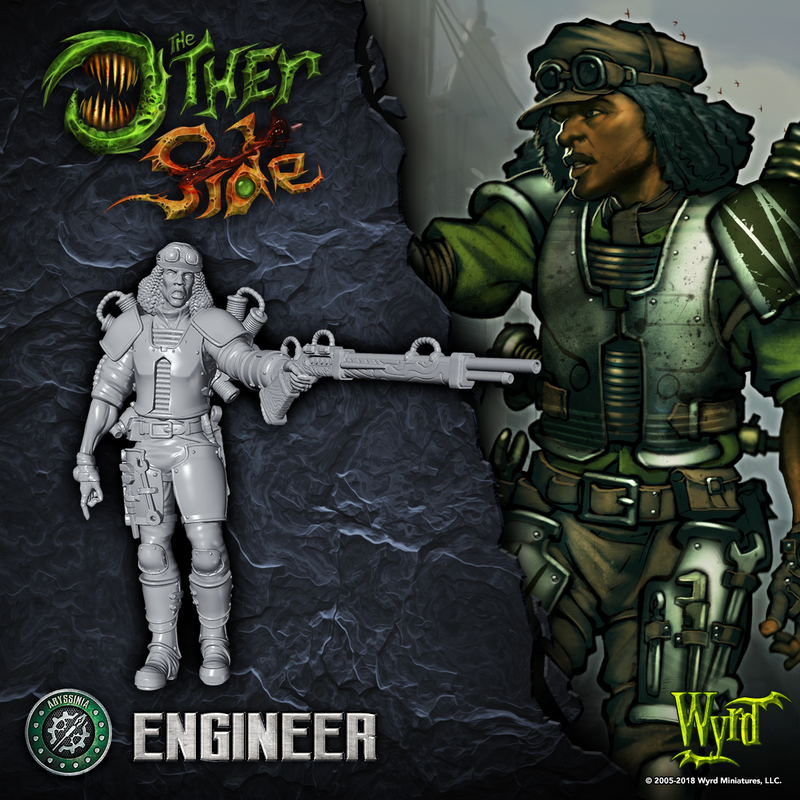 Today we are taking a little look at the Engineer of Abyssinia. The engineer is one of the Adjuncts in the game. Enjoy the sneak peek! Many Abyssinian forces take advantage of Engineers in order to better augment their forces. While often not amazing fighters, Engineers provide a variety of support functions to their unit, as well as an extra gun. On the tabletop, Engineers are an easy way to gain card advantage. In addition to this, their Adjunct Action is a solid ranged attack and, when coupled with Epic Death Scene, it makes them useful in just about any Abyssinian Squad. He's prepared to engineer the downfall of Abyssinia's enemies! I mean maybe that's partly why? Must be handing it off to someone who knows how to...er...rifle...maybe you should ask someone else. Ok, so maybe the engineers are a little behind on proper gun safety. Someone should tel them that directing with a rifle is a poor tactic. "Heat Mon! We Need Some Heat Here Mon!!"